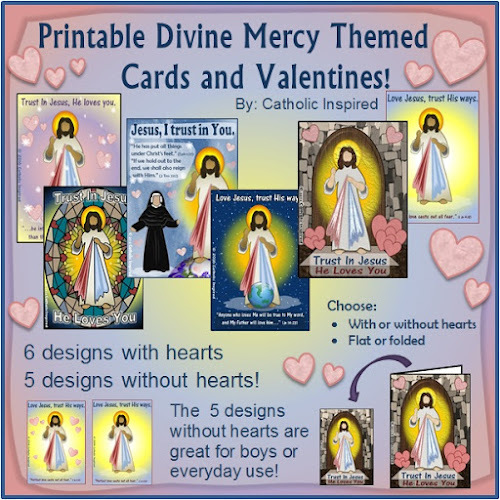 Looking for Catholic themed valentines for St. Valentine's day? Gotcha covered! I've created a cute set of valentines that I think you are going to love! Each of these card designs were lovingly made to honor Our Lord in the Divine Mercy. 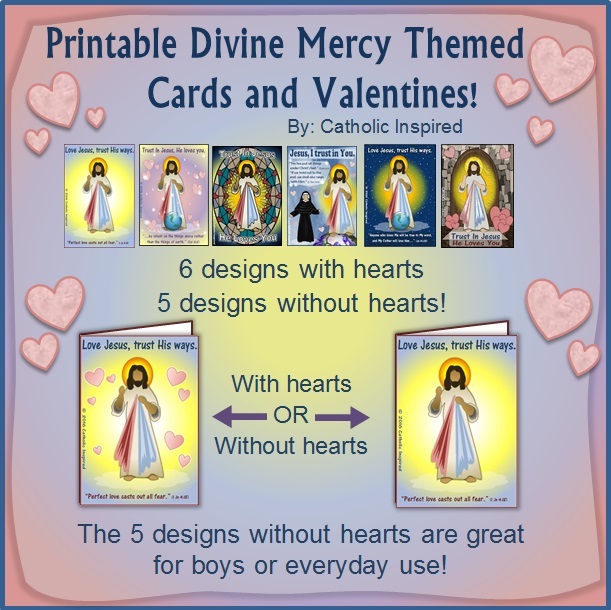 They are meant to remind the receiver of Jesus’ love and mercy. Some of them also include a Bible verse to help reinforce Jesus’ love of us or how we should love Him. This download has two ways to use these! Print 8 flat cards on one page to give to a large group of receivers! Or print the folded card styles! 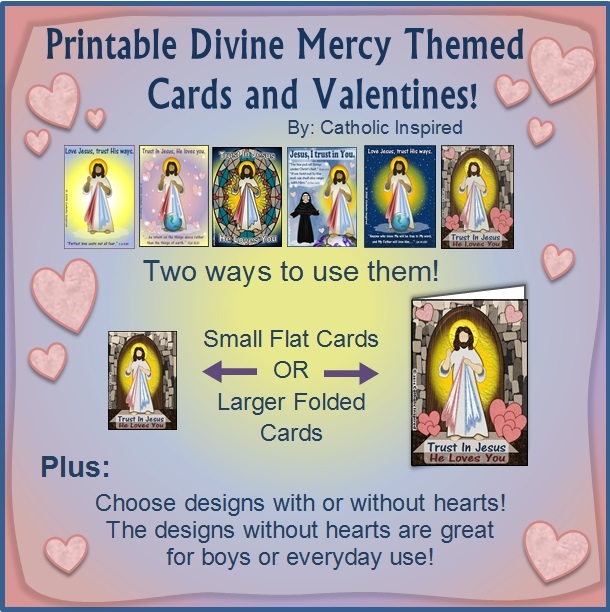 These are perfect cards for mailing or to give to close friends, family or even your parish priest! 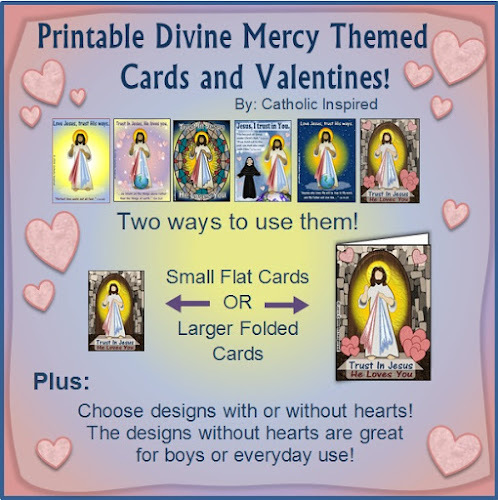 These are especially great for this year because this is the Jubilee Year of Mercy! I think you'll love them! Teachers: These can be used to make crafts with a single class. You may also give them as loving messages to students.